CIT vs. TTG Industries Ltd.
Mrs. Chitra Venkataraman And T.S. Sivagnanam, JJ. T.S. Sivagnanam, J. 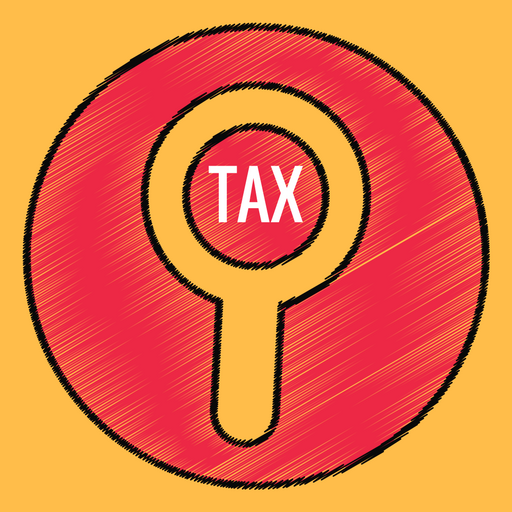 – These appeals by the Revenue are directed against the orders passed by the Income-tax Appellate Tribunal, Chennai T.C. (A.) No. 367 of 2006 is against the order dated August 17, 2005, in M.P. No. 74/MDS/05 in I.T.A. No. 640/MDS/2000 for the assessment year 1996-97 and T.C. (A.)Nos. 1553 and 1554 of 2008 are against the common order dated March 20, 2008, in I.T.A. No. 640/MDS/2000 for the assessment year 1996-97 and I.T.A. No. 1546/MDS/2002 for the assessment year 1995-96, respectively. (a) The respondent-assessee is a company engaged in the business of manufacturing pollution equipment controls, turnkey projects, high pressure cleaning system and the manufacture of wind energy generators. In respect of the assessment year 1996-97, the assessee filed a return of income declaring loss. The return was processed and a notice under section 143(2) of the Income-tax Act, 1961 (in short “the Act”), was issued and the assessment was finalised disallowing the depreciation on machinery and plant used in manufacture of wind mills. (b) Aggrieved by such order, the assessee preferred an appeal to the Commissioner of Income-tax (Appeals). The first appellate authority dismissed the appeal confirming the order of the Assessing Officer. As against the same, the respondent-assessee preferred an appeal before the Income-tax Appellate Tribunal. The Appellate Tribunal, by order dated August 17, 2005, dismissed the appeal filed by the assessee. Thereafter, the assessee filed a miscellaneous petition under section 254(2) of the Act to recall the order passed in the main appeal on the ground that the Tribunal, while considering the issue regarding claim of depreciation, placed reliance on the decision of the Karnataka High Court in the case in CIT v. Amco Batteries Ltd.  203 ITR 614 , and the said decision is not applicable to the facts of the assessee’s case. The Tribunal allowed the miscellaneous petition and held that in the interest of justice, the order should be recalled in respect of depreciation only and the same can be examined after fresh hearing. (d) In the meanwhile, the assessment order dated November 26, 2001, for the assessment year 1995-96 disallowing the claim of 100 per cent. depreciation by the Assessing Officer was challenged by the assessee before the Commissioner of Income-tax (Appeals) and the Commissioner (Appeals) confirmed the order of the Assessing Officer. Aggrieved by the same, the assessee filed an appeal before the Income-tax Appellate Tribunal in I.T.A. No. 1546/Mds/2002. (e) Pursuant to the order dated August 17, 2005, passed in the miscellaneous petition, the Tribunal took up the main appeal in I.T.A. No. 640/Mds/2000 for decision afresh, along with the appeal filed in respect of the assessment year 1995-96 in I.T.A. No. 1546/Mds/2002 and by the common order dated March 20, 2008, allowed both the appeals filed by the assessee, setting aside the orders of the first appellate authority and directed the Assessing Officer to allow 100 per cent. depreciation in respect of the block of assets. 2. The learned counsel appearing for the appellant-Revenue submitted that the order dated August 17, 2005, passed by the Tribunal exercising powers under section 254(2) of the Act virtually amounts to reversing the earlier decision rendered in the main appeal and such an order is beyond the scope of an application under section 254(2) of the Act. So far as the merits of the claim of 100 per cent. depreciation (as per the percentage mentioned in the Table) for both the assessment years 1995-96 and 1996-97 is concerned, inasmuch as the assets were not exclusively used for the purpose of manufacture of wind energy generators but used for other engineering products also, the Tribunal erred in allowing 100 per cent. depreciation. 3. Mr. C.V. Rajan, learned counsel appearing for the respondent-assessee, by placing reliance on the decision of the hon’ble Supreme Court in Honda Siel Power Products Ltd. v. CIT  295 ITR 466/165 Taxman 307 , submitted that the hon’ble Supreme Court has pointed out that one of the important reasons for giving the power of rectification to the Tribunal is to see that no prejudice is caused to either of the parties appearing before it by its decision based on the mistake apparent from the record. Therefore, it is submitted that the Tribunal rightly exercised the power and set aside the earlier order and restored the appeal to be heard afresh. Further, as regards the merits, the learned counsel sought to sustain the order of the Tribunal by contending that there is no provision in the statute stating that the asset should be exclusively used for the purpose of manufacture of wind energy generators to qualify for 100 per cent. depreciation. 4. We have heard the learned counsels appearing for both the parties and perused the materials placed on record. “7.1 Sub-section (2) of section 254 of the Act gives power to the Appellate Tribunal at any time within four years from the date of the order, with a view to rectify any mistake apparent from the record, amend any order passed by it under sub-section (1) and shall make such amendment for the mistakes brought to its notice by the assessee or the Assessing Officer. 7.2 The scope of sub-section (2) of section 254 was considered by the hon’ble Supreme Court in Honda Siel Power Products Ltd. (supra). While considering the scope of power of rectification under section 254(2), the hon’ble Supreme Court pointed out that the purpose behind the enactment of section 254(2) is based on the fundamental principle that no party appearing before the Tribunal, be it the assessee or the Department, should suffer on account of any mistake committed by the Tribunal. Further, it was pointed out that this fundamental principle has nothing to do with the inherent power of the Tribunal. 6. In the case on hand, the Tribunal, while considering the question of depreciation, in its earlier order dated November 29, 2001, pointed out that the machineries that were under consideration, viz., generator set, drilling, boring machines, boring machine for foundation work and lathe machine, etc., were apparently used by the assessee for various engineering work including the activity of manufacture of wind mills, electric generators and pumps. The depreciation table that is available along with the Act do not use the terms “exclusively used” and when there is no term “exclusively used”, that is, the machinery and plant were exclusively used in the manufacture of wind mills, the Tribunal opined that the assessee’s claim was reasonable. Nevertheless, the Tribunal, by placing reliance on the decision of the Karnataka High Court in the case of Amco Batteries Ltd. (supra), observed that the assessee has claimed higher depreciation and the term “exclusively” was perhaps implied and, accordingly, upheld the order passed by the first appellate authority. 7. The case of the assessee is that the decision of the Karnataka High Court in the case of Amco Batteries Ltd. (supra) has absolutely no application to the facts and circumstances of the present case and the Tribunal, having held that the table does not use the word “exclusively” and having been satisfied that the assessee’s claim was reasonable, committed a serious mistake in rejecting the assessee’s claim The Tribunal, on going through the miscellaneous petition filed under section 254(2) of the Act was satisfied that the decision of the Karnataka High Court would not apply and, therefore, recalled the order and restored the appeal to be heard afresh on the said point alone. 8. We may, at this stage, point out that the decision of the Karnataka High Court in Amco Batteries Ltd. has absolutely no relevance to the facts of this case. In the said case, the Karnataka High Court found that as a matter of fact the assessee therein, though a manufacturer of batteries, had a separate division in its factory for making rubber containers, which are used for making batteries and which are not sold in the market and in respect of the moulds used for making rubber containers, the assessee had claimed depreciation at 40 per cent., which was allowed by the Tribunal. There was no infirmity in the conclusion arrived at by the Tribunal. Thus, on facts, after analysing the nature of activity done with the said machinery, the Karnataka High Court confirmed the view recorded by the Tribunal in the said case. The said decision is clearly distinguishable on the facts of the case on hand. By applying the decision laid down by the hon’ble Supreme Court in the case of Honda Siel Power Products Ltd. (supra), we proceed to accept the view of the Tribunal that the order dated November 29, 2001, has caused prejudice to the assessee and such prejudice is attributable to the Tribunal’s mistake. We say so because the Tribunal was satisfied that the assessee’s claim was reasonable, nevertheless, rejected their claim solely relying on the decision of the Karnataka High Court, without analysing the facts, which were the subject matter of the decision before the Karnataka High Court. Therefore, the order dated August 17, 2005, passed by the Tribunal under section 254(2) of the Act is wholly within jurisdiction and perfectly justified. 9. Now, coming to the merits of the matter, as pointed out earlier, the Tribunal was initially satisfied that in the absence of the expression “exclusively used”, the claim made by the assessee was reasonable. However, the Tribunal did not point out as to whether the assessee was entitled to the entire 100 per cent. depreciation as per the table annexed to the Act. In the final order dated March 20, 2008, the Tribunal pointed out that the total turnover of the assessee for the relevant assessment year was Rs. 100.40 crores, out of which, a sum of Rs. 67.98 crores directly relates to supply and manufacture of wind energy generators. Further, it was held that the other items also relate to sale of spares and execution of turnkey projects in various places, which cannot possibly involve use of machinery and, therefore, recorded a factual finding that the machineries must have been used mainly for the purpose of manufacturing wind energy generators. Therefore, on such facts, the Tribunal held that the assessee was entitled to 100 per cent. depreciation as per the table annexed to the Act. 10. The above reasoning of the Tribunal, in our view, is justified in respect of the wind energy generators used in the process of manufacture of wind mills. So far as other machineries, viz., drilling machines, boring machines, boring machine for foundation work and lathe machine, are concerned, the Assessing Officer, on verification of the written down value (WDV) of 100 per cent. depreciation block, found that the entire plant and machinery is included in the block and during 1994-95; that the total turnover was Rs. 48.10 crores, which includes sale of 24 wind mills and that the total turnover of the wind mills was around Rs. 20 crores. Up to the assessment year 1994-95, the assessee claimed depreciation of plant and machinery at 25 per cent. only. But, after the assessment year 1995-96, the assessee has grouped the block of assets along with the addition to fixed assets made during the assessment year 1995-96 and claimed 100 per cent. depreciation Further, the Assessing Officer pointed that the assessee has transferred the entire block of assets in 100 per cent. depreciation block treating that all plant and machinery were being used for manufacture of wind mills. Thus, in the absence of any materials produced by the assessee, the Assessing Officer allowed depreciation at 25 per cent. because those machineries as indicated above were not “exclusively used” for manufacture of wind mills and disallowed the depreciation to the tune of Rs. 164.72 lakhs. 11. The Tribunal, while considering the issue did not specifically advert to other machineries other than the generator sets. It is to be noted that up to the assessment year 1994-95, the assessee has claimed depreciation of plant and machinery at the rate of 25 per cent. only and for the first time, from the assessment year 1995-96, it grouped the same as block of assets. In the absence of any material produced before the Assessing Officer to show that all the other machineries were also used in the manufacture of wind mills, the Assessing Officer was perfectly justified in restricting the depreciation claim to 25 per cent. 12. The Tribunal pointed out that some of the turnover were generated by selling of spares, services, laying of tower foundation in turnkey projects, etc., which would obviously do not require use of machinery and therefore, it cannot be said that the machine was used for the purpose of manufacture of other components, etc. Having held so, when it adverted its attention to the machineries, such as generator sets, drilling machines, boring machine, boring machine for foundation work, lathe machine, etc., it merely allowed the assessee’s claim holding that for the purposes of grant of depreciation, exclusivity was not the test and thus, the entire claim was granted. 13. On the above aspect, we feel that some clarity is required as to the extent of depreciation that could be granted. Instead of remitting the matter back to the Tribunal, we feel it apt to consider the same herein. Sub-clause (xviii) therein states that in respect of machineries and plant used in the manufacture of any of the items enumerated therein, such block of assets would qualify for depreciation at the rate given therein. Since wind mill and any specially designed device which run the wind mill is one of renewal energy device, such machineries and plant used in the manufacture of wind mill would qualify for depreciation at the rate mentioned therein. As far as machineries which are considered in the appeals before us, those machineries would qualify for percentage of depreciation as mentioned in the table. The generator set is the one such machinery which would fall for considering in the block of assets, specified in sub-clause (xviii) of clause (10A). It is an admitted fact that the assessee is engaged in turnkey projects, for which apparently it had used drilling machines, boring machines, boring machine for foundation work and lathe machines. If that be so, when machineries are not those used in the manufacture of wind mill or any specially designed device, which run the wind mill, the same would not fall for consideration on the block of assets, which is defined under section 2(11) of the Act. 15. Considering the above said facts, we hold that the generator sets being one such block of asset falling for consideration under clause 10A of the depreciation table, this alone would qualify for the rate as prescribed under “renewal energy devices”, i.e., 100 per cent. depreciation. As far as other machineries are concerned, as rightly pointed out by the Assessing Officer, the same would qualify for depreciation at 25 per cent. and not at 100 per cent. as claimed by the assessee. 16. In view of the above, the Assessing Officer is directed to rework the relief on the grant of depreciation treating the generator sets as the block of assets used in the manufacture of wind mills and the other machineries would not fall within that head of block of asset but would entitle to the relief of depreciation at such rate as has been fixed by him. 17. With the above direction and observation, T.C. (A) No. 367 of 2006 is dismissed and T.C. (A) Nos. 1553 and 1554 of 2008 are disposed of. No costs. This entry was posted in Section 32 and tagged 363 ITR, In favour of Assessee, Madras High Court.